Get exciting offers on Zimbra Hosting Plans. Get exciting offers on iRedMail Hosting Plans. 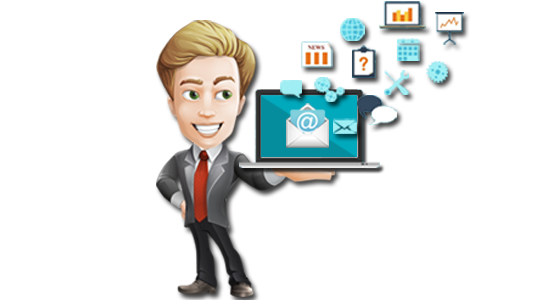 We offer fully managed Zimbra and iRedmail VPS and Dedicated Servers. Our solutions are suitable for Small and Medium businesses and we can also scale up to support large corporate setups. Our 24x7 technical support team will ensure business continuity for you always. Our high bandwidth servers are designed to handle high traffic and huge data transfers smoothly. Managed Hosting offers the expertise and experience to support your hosting operations. Increase the speed of your website with SSD server hosting. Optimize performance by examining host server processor and memory performance devices and adding memory. Unlimited disk space with Infinite speed for transferring data. Unlimited email with your own domain with numerous advantages. Real-time spam protection over SMTP, POP3, IMAP protocols. A hosting account and website with a unique IP address, not shared with anyone else. Fully Qualified Technical Support 24/7 Live Chat/Email and 24/7 Monitoring. On-demand hosting. Full-time infrastructure management. Our superior network is designed and built to provide the highest level of reliability. we ensure 99.95% uptime for a great hosting experience. It enables users to create an unlimited number of accounts, maintain backup and access their critical data anytime and from anywhere. We offer fully managed solutions so that you can focus on your business. We provide high tech support who interacts directly with you to resolve your problems immediately. We believe in "Day to Day management and maintenance of the servers".